The AC Hose is a specialized hose that is designated to carry the refrigerant through the air conditioning system of your vehicle. They are designed to conduct both liquid and gaseous forms of the refrigerant at both hot and cold temperatures. The hoses are attached to their outlets through metal fasteners (crimps) to prevent the refrigerant from leaking out. If the AC hose is damaged, it could cause the flowing refrigerant to leak out, and consequently reduce the efficiency of your air conditioning unit. If you find refrigerant pooling under the bottom of your car or if you sense that your AC working as desired, it could be an indication of a worn out or leaky AC hose. You should replace your AC hoses to keep your AC system from sustaining any serious damage. 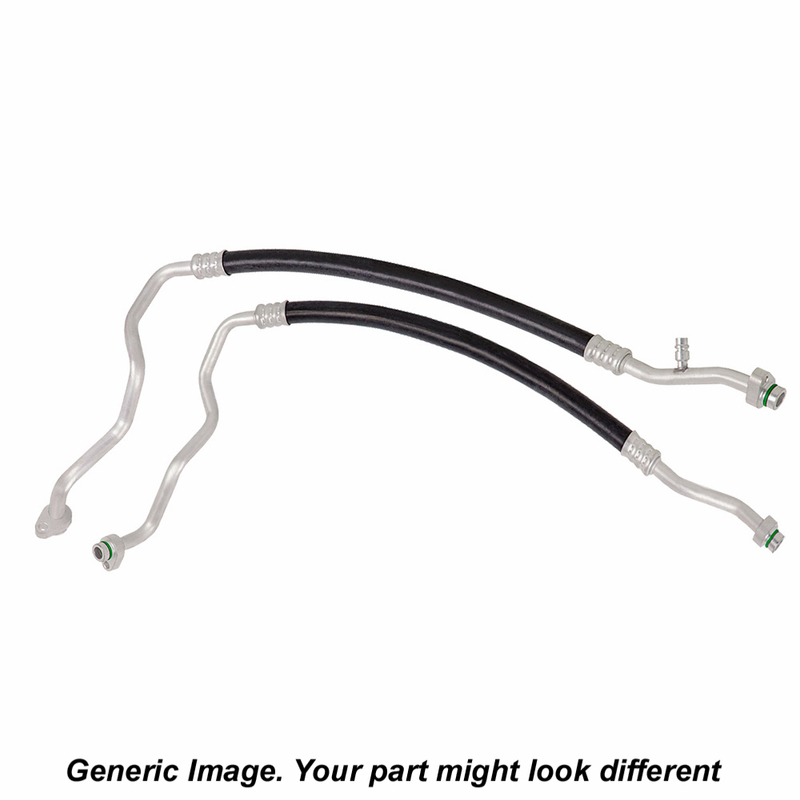 At Buy Auto Parts we stock a wide variety of AC Hoses for every car make and model. We have genuine OEM replacements and premium aftermarket parts. All our car parts are thoroughly tested and come with a warranty. To view the parts that fit your vehicle, select the right year, make and model of your car on our online catalog. At Buy Auto Parts you will find high-quality AC Hoses at unbeatable prices, and free shipping. If you have any questions about our car parts, call our toll-free support line 1-888-907-7225 or email us at [email protected].